My Milwaukee Mommy - Lifestyle Mom Blogger Local Family Activities and Saving Money in Milwaukee: *HOT* Sentiments Jewelry Starting at ONLY $8.71 "GREAT STOCKING STUFFERS"
*HOT* Sentiments Jewelry Starting at ONLY $8.71 "GREAT STOCKING STUFFERS"
Head over and check out Sentiments Jewelry with Up to 40% Off - prices starting at $8.71. Always popular is the Sterling Silver "I love you to the moon and Back" Pendant Necklace, 18-Inch for $12.32. 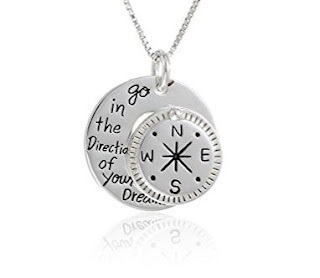 My daughter will LOVE in her stocking the Silver-Plated You and Me Crystal Whales Pendant Necklace, 18" for $12.29 (Retail $19.42).